Aww. Who knew that badass mega Pokemon acting like caring, loving parents could be so sweet? 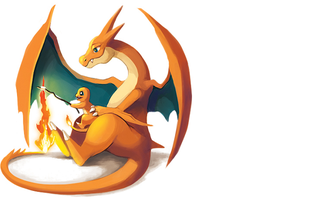 Take this Charizard using its tail to help lil Charmander toast its marshmallow, for example. Adorable. You can check out more of arkeis-Pokemon's work here.